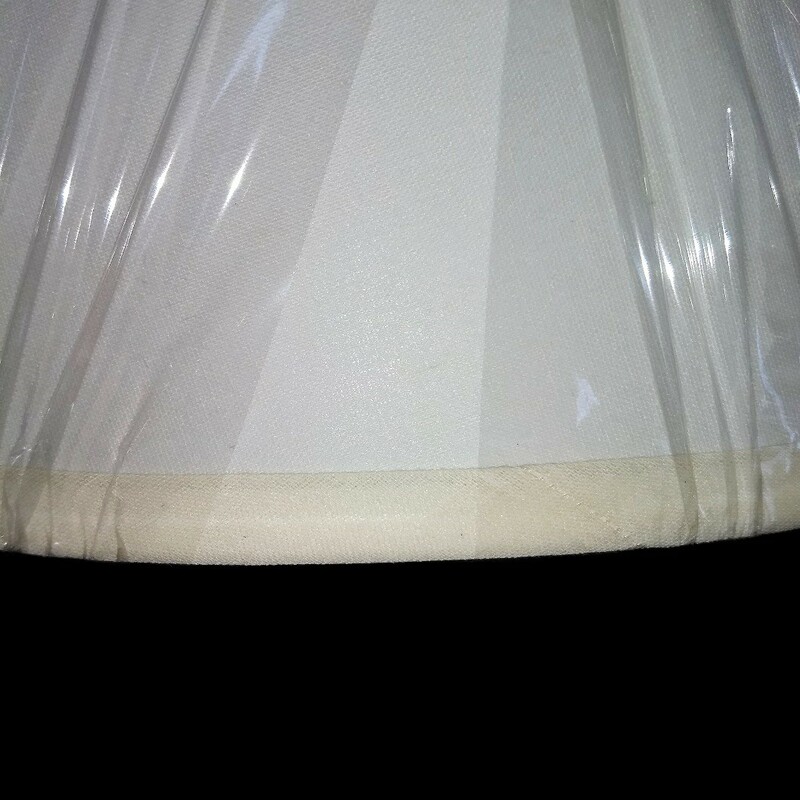 Lamp shade is brand new USA American made cream color linen fabric with durable white hardback liner. 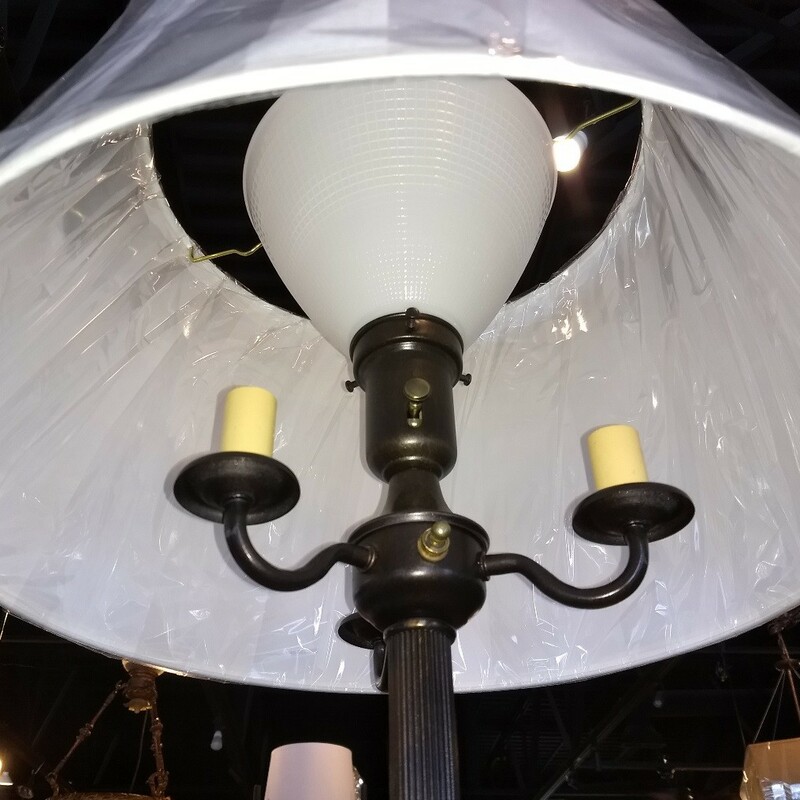 This is the most desirable cream color lamp shade fabric in the lighting industry, not off color like imports. 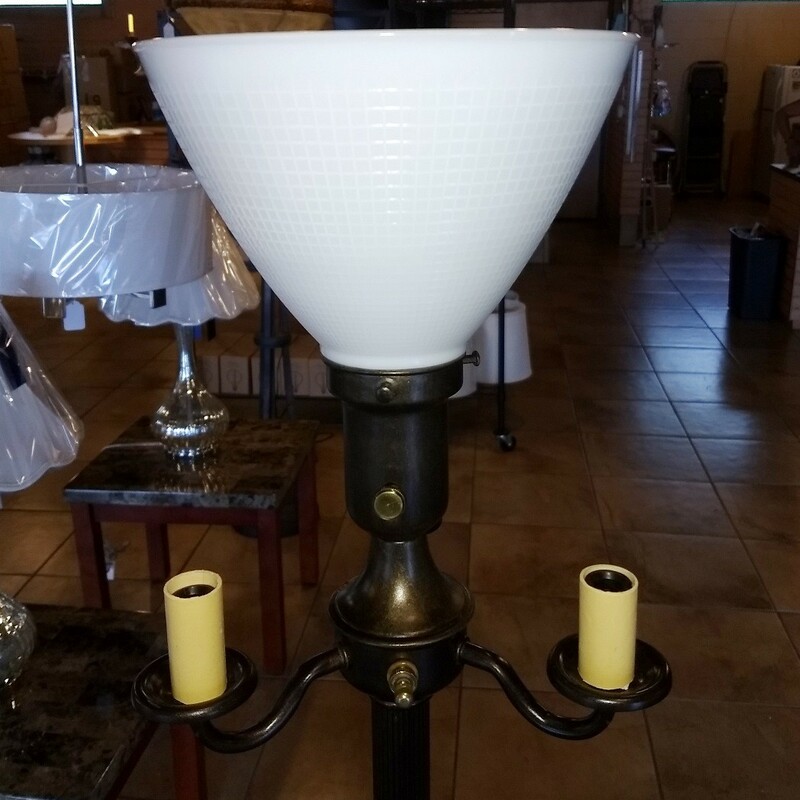 We have been selling this same lampshade to fine dealers since 1975. All electrical parts have been completely replaced with brand new components and tested. The rich hand painted finish combines a deep bronze color with subtle gold accents throughout with a stunning base highlighted with forest green leaves and a barely perceptible lavender haze. Substantial 12"W base is made of heavy cast iron for superior stability and lasting beauty. 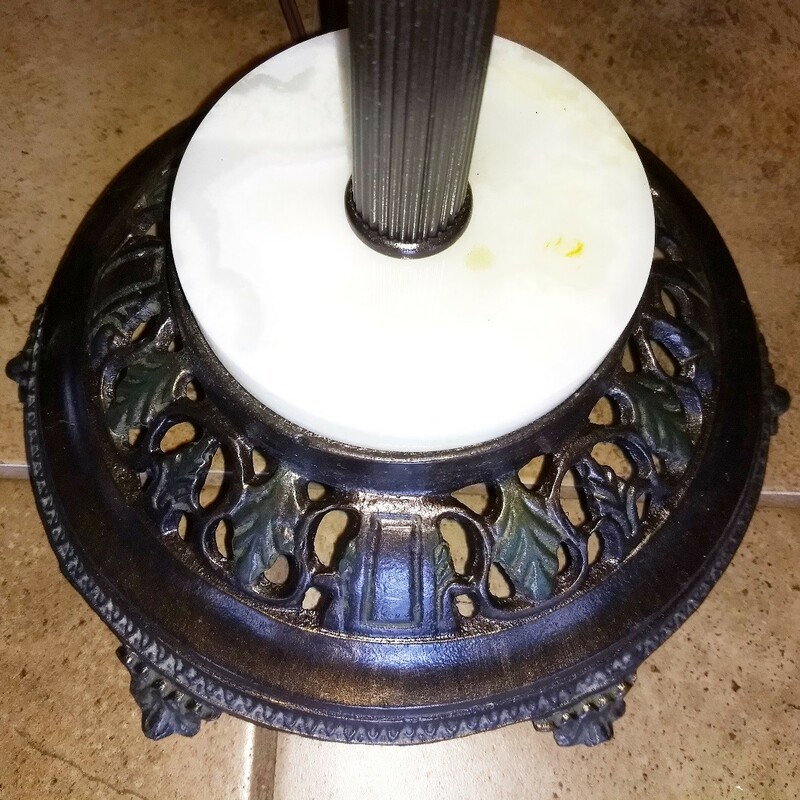 The base is showcased by a genuine onyx stone and 4 lovely graceful feet. 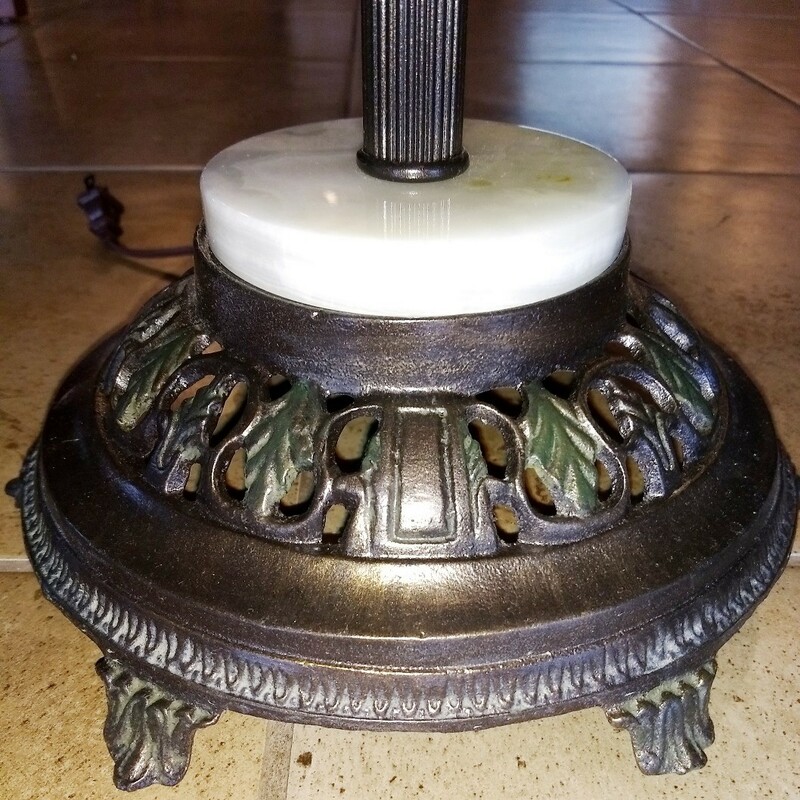 A unique night light is located under the bottom base which makes the lovely stone glow. Very interesting light and shadow features surround the bottom base and its Art Nouveau decorations. Possibly the most versatile lamp ever created, the 6 six way floor lamp can light up an entire room or provide a low subtle night light plus provide many light levels in between.